Love the EP papers and the way you stamped out the sentiment on both cards is just terrific! Great ideas! Great cards! Living those papers and what a wonderful sentiment this is! Both cards are wonderful. I like paper pieced umbrella and the embossed raindrops. Lovely choice of patterns and colours. I especially like the cloud backdrop on the first. What a great stamp for paper-piecing, nicely done! Great cards! That umbrella is so cute! so adorable - love the choice of vellum on the first card!! Awesome! love your cards and how you incorporated the pattern paper into the design. adorable stamps and a fun sentiment to work with! Loving this stamp set! Your cards are adorable! 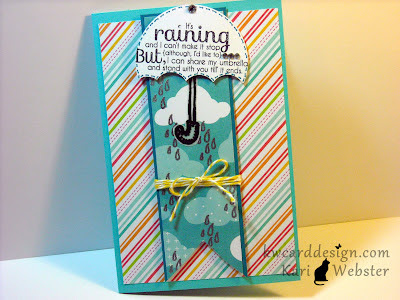 I love the colors and how you did the stripe paper at an angle!! Great cards...like how you used vellum on the first one goes with the cloud theme. The second banner and sentiment on the umbrella was a cute idea. 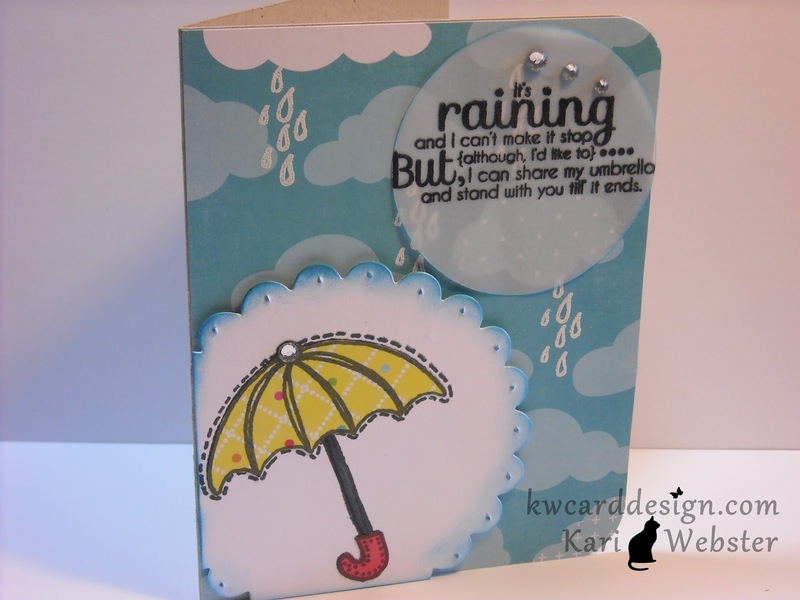 Love both your cards, really loved how you used vellum and embossed the raindrops! Both cards are so cute, can't believe you used scraps for the 2nd one. wow! i really love that you used scraps to create the 2nd card!! and i LOVE that you stamped the sentiment inside the umbrella!!! genius! Oooh, pretty, pretty! Definitely love the sentiment inside the umbrella. Great idea! Great cards...I always love clouds on cards and both of yours have clouds!! Fun! This is amazing! I really love what you've done with this set, love the stamped drops and the sentiment on the umbrella! 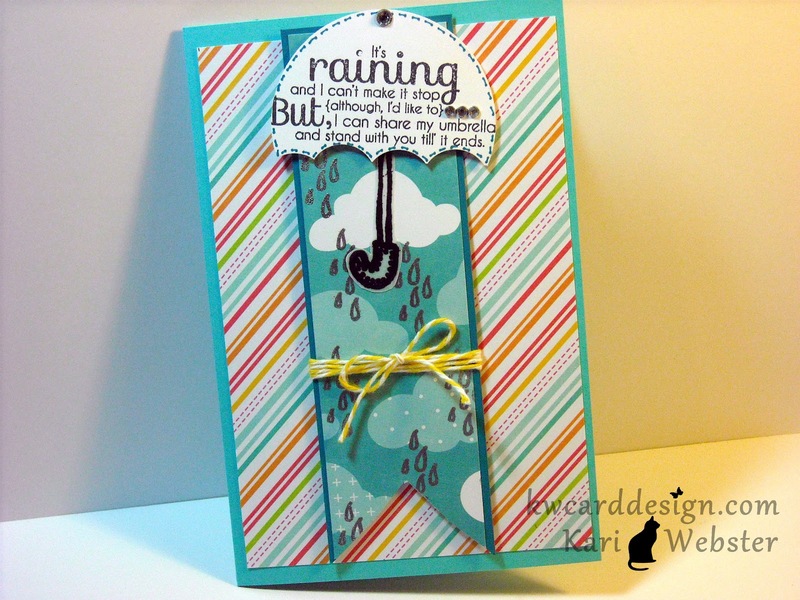 You really showed the versatility of the set with the embossed raindrops in different colors and the I love the umbrella with the stamped sentiment. Good job. Great idea to use the sentiment on the umbrella. I like the background--very cute.